Save up to 25% on the New York C3 CityPASS! Customize your trip and Save! New! Visit the Harvard Museum of Natural History and 3 Other Attractions at a Savings of up to 45% when you buy the Boston CityPASS! Shop and Save now! Save up to 54% on Chicago's 5 best attractions with CityPASS. Shop Now! 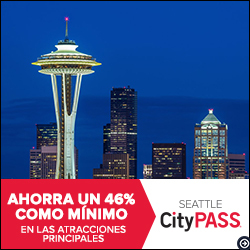 CityPass is a simple way to vacation in North America's most popular city destinations. Available in New York, Atlanta, Boston, Chicago, Dallas, Tampa Bay, Houston, Philadelphia, San Francisco, Seattle, and Toronto. CityPass is a ticket booklet containing an actual admission ticket to the top attractions in each city. With CityPass, you pay one substantially reduced price and avoid main entrance ticket lines at most attractions. CityPass promises you three things: the most famous attractions, an amazing price, and skip-the-line entry. Wherever possible, you'll be able to skip the entrance lines. Most CityPASS attractions recognize CityPass ticket holders as VIPs and treat them accordingly — motioning them to the turnstile, allowing them immediate entrance to museum galleries, including them in special members-only entrances, or even identifying separate CityPass entrances. Found a coupon for CityPass?